Kirsty gets the majority of her work through word of mouth and personal referrals from her existing clients. The feedback Kirsty receives is extremely important to her as she is committed to providing everyone with a professional, friendly and confidential service. Below you can read recent feedback from some of Kirsty's clients. "Kirsty has been an absolute saviour and has helped me successfully cope with bags of stress and deal with a lot of issues through guided meditation. No words can sum up how happy I am to have met and worked with Kirsty. I would definitely recommend her services to anyone and everyone!" "I am one extremely anxious and distracted person. However Kirsty of The Awakened Mind brought peace and tranquility back into my life again; teaching me how to be mindful of all the beautiful things in life which I no longer seemed to appreciate." "Kirsty is a truly kind and compassionate person who genuinely wants to help others. I find our sessions to be extremely relaxing and invigorating and I really look forward to them each week." 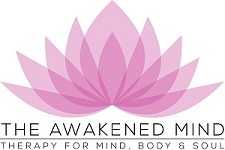 "Kirsty at The Awakened Mind helped me make such positive improvements in my life! Anyone who suffers from depression should give mindfulness based cognitive therapy a go as it will definitely change your life for the better." "Mindfulness based stress reduction has been a godsend. I am now far better equipped to handle stress and difficult situations. I also now take notice and enjoy the little things that happen in my everyday life." "Without Kirsty's help I doubt I would ever have faced up to how hard I was on myself and my family. MBCT (Mindfulness Based Cognitive Therapy) has really helped me focus and find the time and head space to make rational decisions. I feel so much better in myself and am loving life and living it to the fullest!" "We have seen many improvements in our son's overall wellbeing and behaviour since he stared his mindfulness sessions with Kirsty. He now has several coping strategies which help him effectively deal with various situations which arise in school, such as coping with conflict and peer pressure etc. As expectations on children are so great these days we believe that providing him with the tools so he can better control situations that upset him at an early age is important and hope he will continue to use them as he grows and develops." "I have suffered from depression and anxiety for much of my adult life and have tried many forms of therapy over the years which did not help me. However, a friend then mentioned I should contact Kirsty and I am now so glad I did as I can honestly say she has transformed my life. For the first time in a long time I feel calm and in control and see the world in a totally different way." "I contacted Kirsty when my low self-esteem was having a major impact on my life on various levels. For instance I had practically no social life whatsoever as I felt as though I had nothing worthwhile to share with anyone else and I had cut myself off from my family. Kirsty taught me simple mindfulness techniques to practice which had a positive and profound effect on my life and I can now see light at the end of the tunnel." "When I got angry I nearly punched another boy. I then stopped and did my mindfulness exercises which Kirsty taught me. I calmed down and everything was better." "Thank you Kirsty - mindfulness has changed my life. Keep doing what you are doing because there are so many people out there who could benefit from your help." "Kirsty is fabulous, I cannot thank enough for helping me through such a difficult period in my life. She made me feel at one with myself and I now have much greater peace of mind."